Experience powerful applications with sense of appealing simplicity!!! Maven Systems has experienced Android developers for the design, development, testing and deployment of Android Apps. 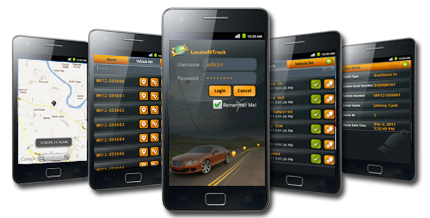 We have developed and deployed dozens of business and enterprise Android apps for our customers globally. We have developed application in the areas of wearables, logistics, medical electronics, energy monitoring, industrial / home automation, connected cars, productivity monitoring, social networking etc. 'Integrated solutions' for various business needs. 'Stand alone applications' for already existing solutions / products. 'Device drivers' for various hardware interfaces. Optimized graphics development powered by a custom 2D graphics library; 3D graphics based on the OpenGL specification. Use of SQLite for structured data storage. Extensive use GSM Telephony (hardware dependent), Bluetooth, EDGE, 3G, and WiFi (hardware dependent). Applications using Bluetooth Low Energy (BLE) and communication with iBeacons / BLE tags are enablers to advanced applications commerce, industrial and medical applications. Use of camera, GPS, compass, and accelerometer (hardware dependent). 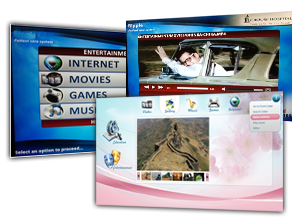 Integration of multimedia applications such as YouTube to share videos. Data security using encryption techniques such as ARC4, RSA, AES, DES..
Maven system has expertise in developing PhoneGap applications that supports multiple platforms. Using these technology applications can be used for platforms like Android, iOS, Blackberry, Windows mobile etc. Maven Systems has vast experience of creating board support packages and porting Android operating system for various platforms like ARM, MIPS, etc. Implement compelling and visually rich user interfaces with power UI engine. Comprehensive libraries for 2D and 3D graphics based on OpenGL. Proficiency on developing single and multi-touch applications. Effective use of interpolator for animation.